We find immediatism in my fourth sense—the belief that the average layperson has direct, individual access to God, with no other mediator beside Christ—at evangelicalism’s Protestant roots. Since the Reformation, Protestants have distrusted tradition as potentially leading people back into what Martin Luther had called the “Babylonian Captivity of the Church.” Luther and the other Reformers sought to strip away a mass of rituals and requirements that had accumulated during Christianity’s thousand-year “middle age,” as they imagined, like malignant barnacles on the ship of the church. These traditions, it seemed to them, now obscured the central truth of salvation by grace through faith—God reaching directly to the believer and achieving the work of salvation without human effort. An irony here is that the theologian who loomed over the whole medieval period, on whose thinking, as Jaroslav Pelikan has said, all of medieval theology served as something like a set of footnotes – Augustine of Hippo – had taught unequivocally that salvation can come to us by no other means than God’s unaided grace. This was still the official teaching “on the books” of the medieval church right up until the Reformation—though a group of “modern” theologians, to whom Luther was reacting, were trying to import categories of human effort into the picture of how salvation takes place. Augustine, however, had been wise enough to see that the individual believer cannot come to faith outside the community of the church. And he had been willing to make some quite strong claims for the role of the church in salvation. The Reformation may even be considered, as some have said, “the triumph of Augustine’s soteriology (his understanding of salvation) against Augustine’s ecclesiology (his understanding of the church). Those Protestants, however, who believe that the whole Western medieval church believed in “salvation by works” are following a long tradition of Protestant insult-hurling that ignores much medieval evidence to the contrary! Luther was not yet a thoroughgoing immediatist. He maintained, for example, a strongly sacramental liturgy. When attacked in his thoughts by the Devil, he did not content himself with hurling inkpots, but rather “stood on his Baptism” – insisting that that sacrament had separated him forever from the works of the Enemy. But Luther was not the end of the story. 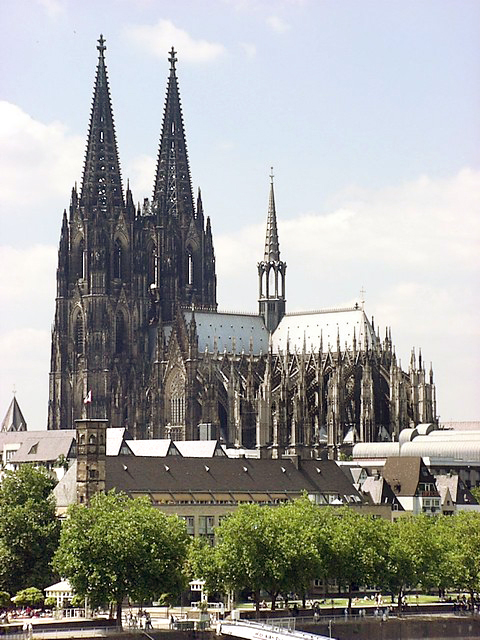 The French moderate Calvin and the more radical Swiss leader Zwingli continued to push back against “Roman traditions,” with Zwingli even nailing shut the organ and stripping the religious art from the walls of his Grossmunster church in Zurich. In that quest, the Puritans distrusted first, all “priestcraft” or sacerdotalism, that is, human mediation of God to individuals, and second, all sacramentalism, that is, material mediation of God to individuals. They resisted all claims that in order to meet God people must use mediating such as statues, images, or vestments, and physical actions such as rituals, gestures, or postures – presided over by ecclesiasts. The proto-evangelical “free church” Protestants—first the Anabaptists, then all their theological kin in the Anglo stream—further intensified this allergy to church hierarchy, extending it to state control and involvement. 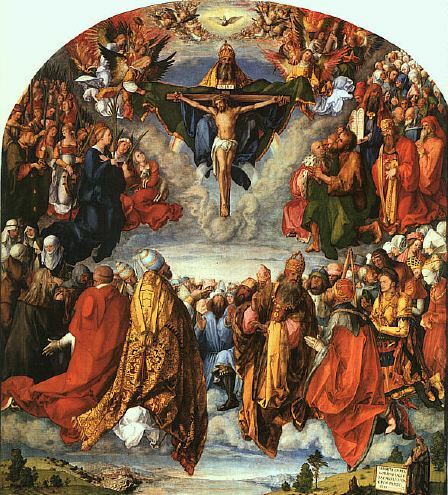 How dare any human authority tell Christians that they must do this or that to reach God: each person stands before God on their own two feet, and God, in turn, stands ready to meet each person in every time and situation of life, without the poor helps of human tradition. On the early 19th-century American frontier, a new generation of free, self-sufficient Protestants extended the immediatist quest, now fighting for freedom from intellectual elites (the educated ministry with their four-year degrees) and from all the forms of tradition over which they claimed to be the masters and gatekeepers. Along the way, heart religion became similarly intensified. 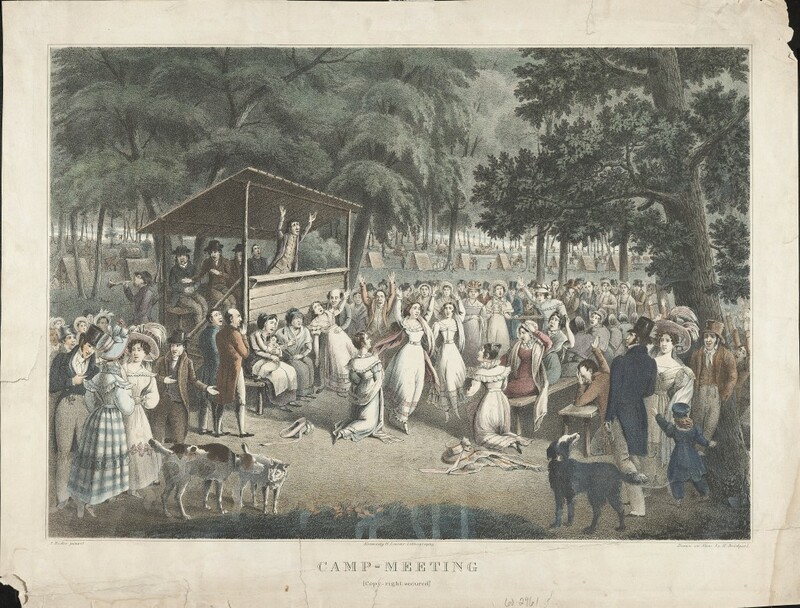 We may trace a straight and unwavering line from the Puritans’ 17th-century “Augustinian Strains of Piety,” which led them to require a compelling and heartfelt conversion narrative from each new church member, to John Wesley’s Aldersgate experience of having his heart “strangely warmed,” to the ecstasies of the 19th-century camp meeting and the 20th and 21st century charismatic worship service. Anne T. Fraker, in her summary of Perry Miller, The New England Mind: The Seventeenth Century (NY: Macmillan, 1939), in her Religion and American Life: Resources (Urbana: University of Illinois Press, 1989), 94-95. Martin Luther, “The Pagan Servitude of the Church,” in Martin Luther: Selections From His Writings, trans. and ed. John Dillenberger (New York: Anchor, 1962), 249-362. Nathan Hatch, The Democratization of American Christianity. Perry Miller’s term, in the above-cited work. Part 5. Introducing Medieval Wisdom, Immediatism in evangelicals.